One of my favorite things about owning chinchillas is watching them munch away on their treats. I love how they look so happy when they're eating and beg for more when they're done :). However, I learned the hard way that feeding chinchillas the wrong treats is very dangerous. And after this unpleasant experience, I wanted to make sure I never fed my chinchillas any treats that would make them sick ever again. 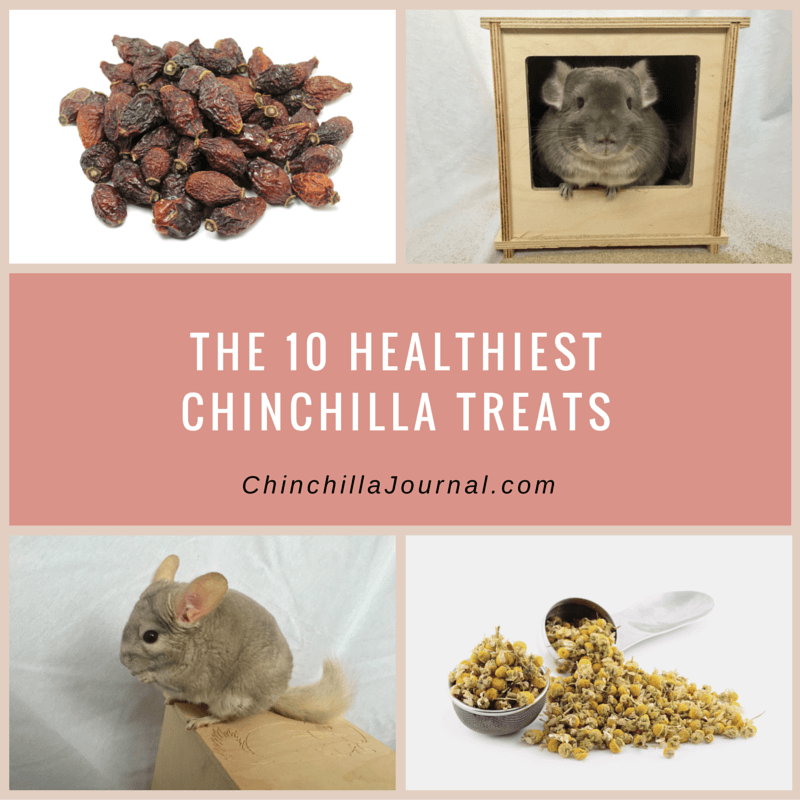 So, I researched everything I could find on the topic of chinchilla treats and came up with a list of 10 healthy treats I could give my chinchillas every day. 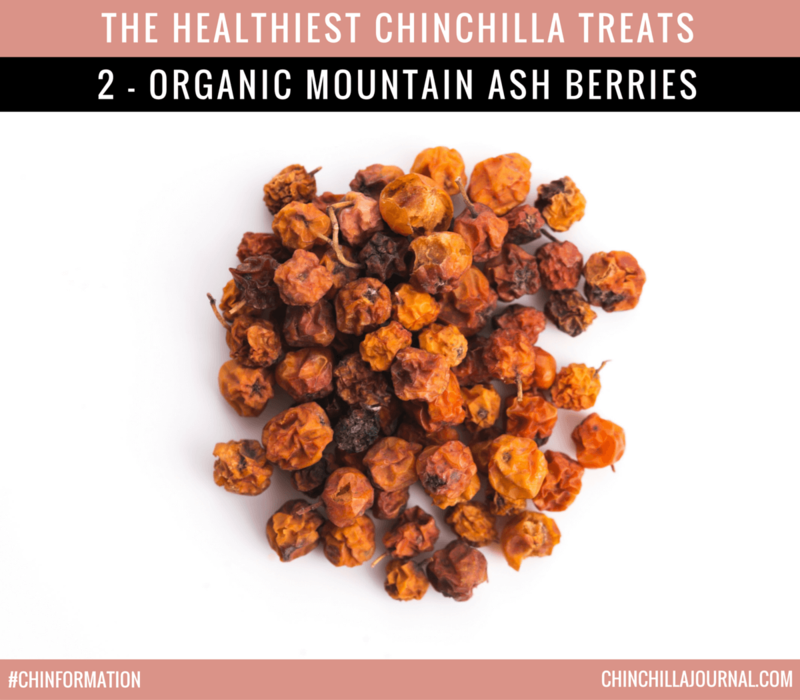 In this post I'm going to share these healthy treats with you, so that you can safely feed your chinchilla treats whenever you want, without worrying about them getting sick. 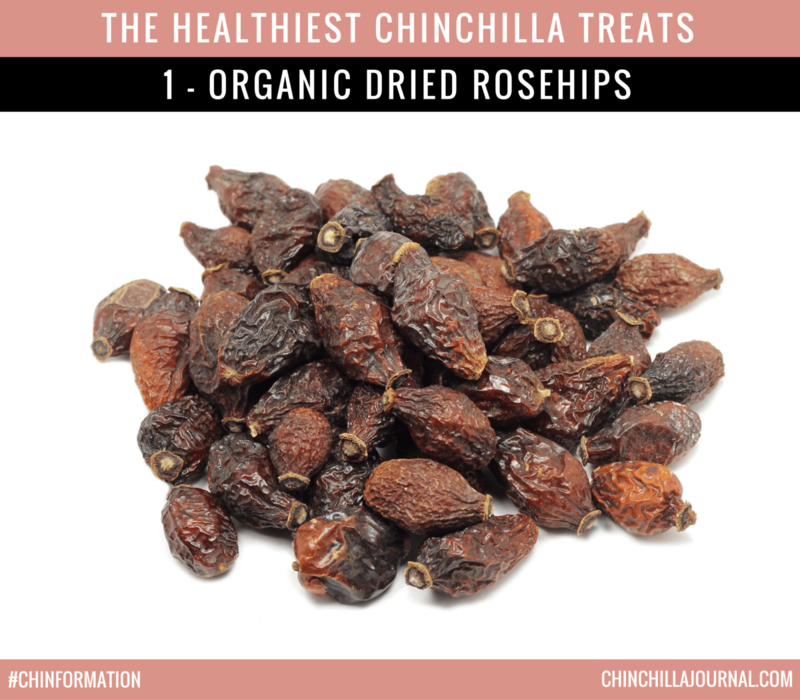 You can give your chinchilla up to three whole dried rosehips or one teaspoon of dried rosehip shells every day. Your chinchilla can eat up to three mountain ash berries per day. 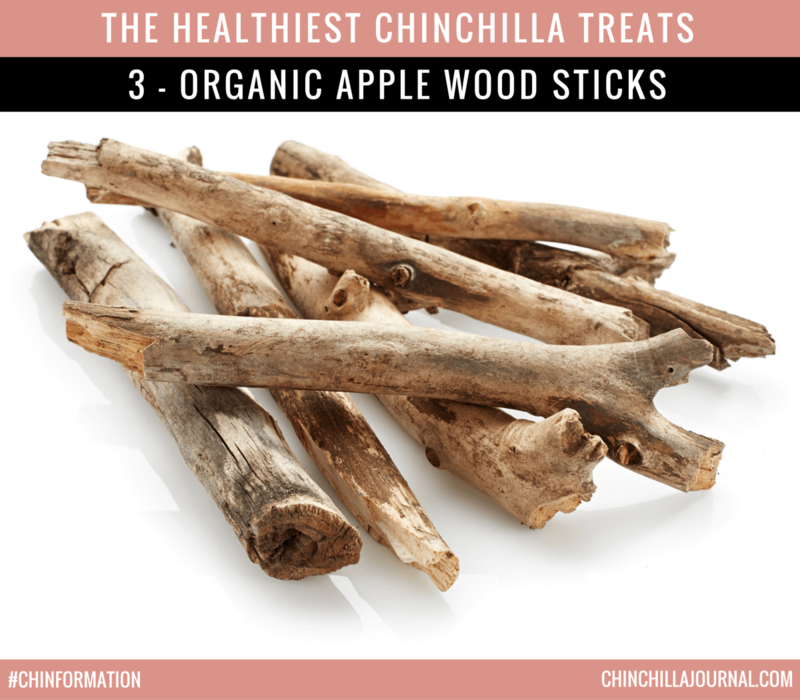 Apple wood is a great chinchilla safe treat that also acts as a chew toy for your little fluffball. Chinchillas can have one apple wood stick each day. Your chinchilla can eat ½ teaspoon of dandelion leaves per day. 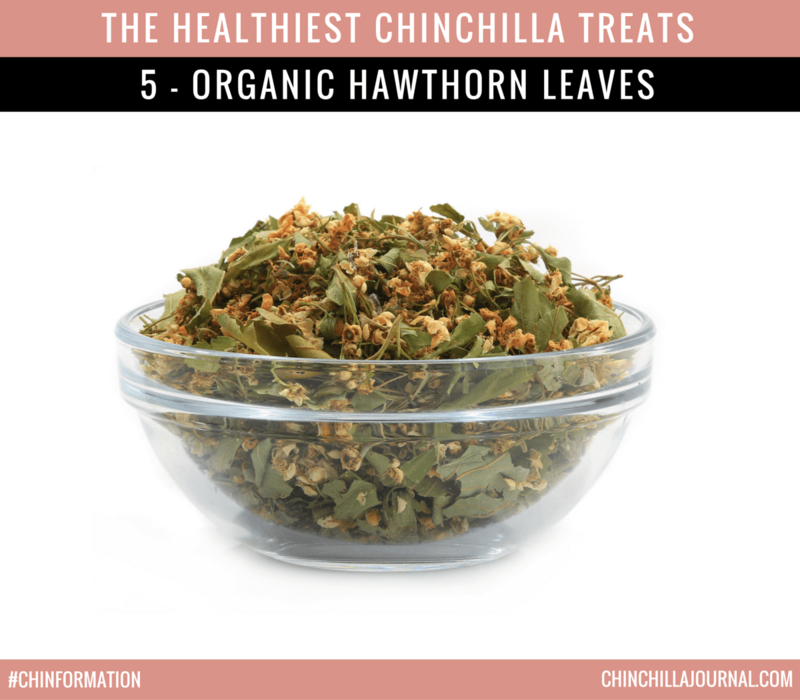 Hawthorn leaves are one of the best treats for your chinchilla’s heart. Chinchillas can have ½ teaspoon of hawthorn leaves each day. 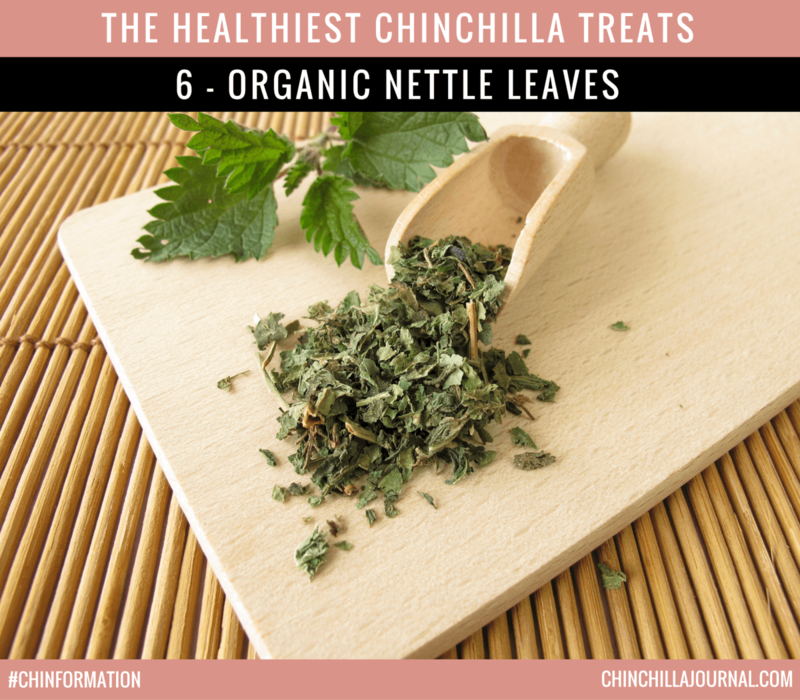 Your chinchilla can eat ½ teaspoon of nettle leaves every day. 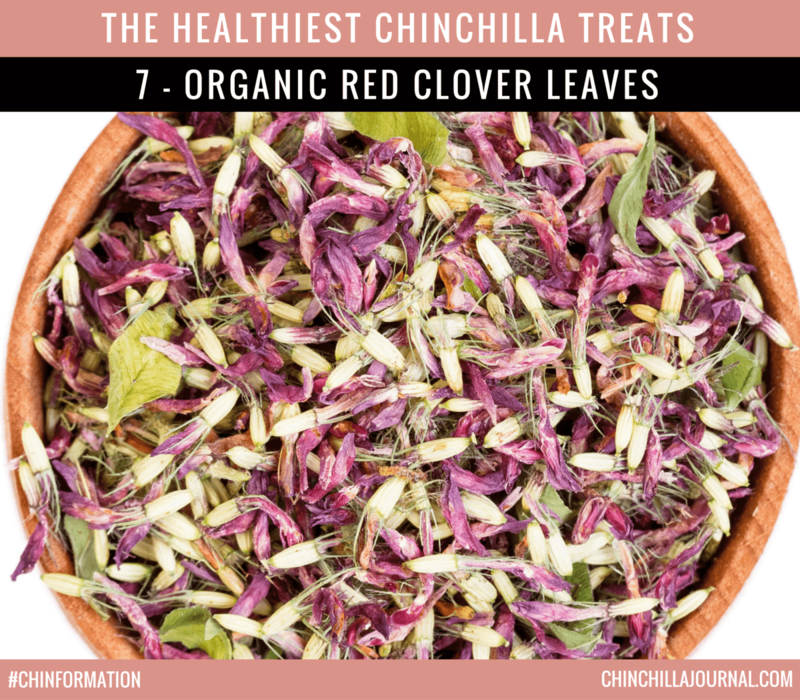 Red clover leaves keep your chinchilla's nervous system healthy and functional. Your chinchilla can have ½ teaspoon of red clover leaves per day. 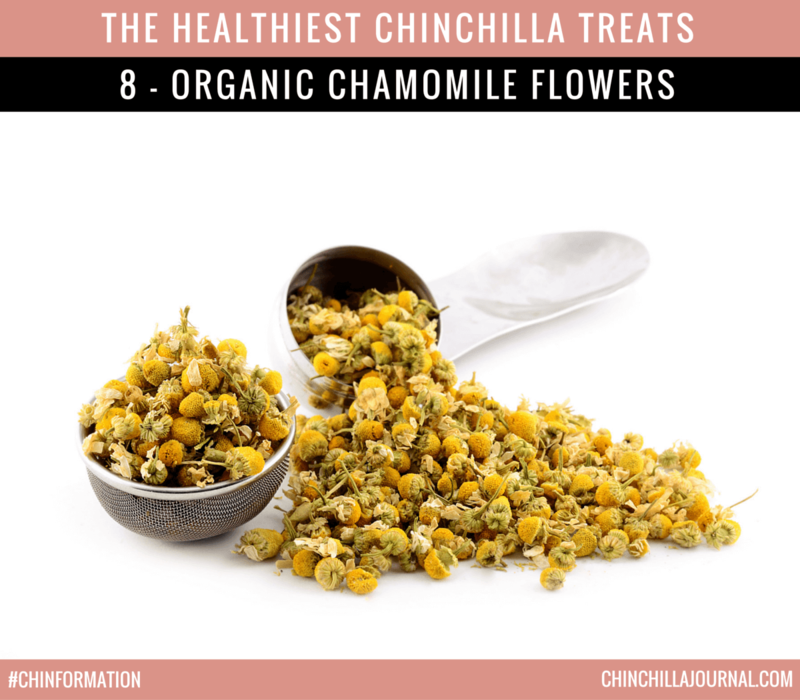 Chamomile flowers have a soothing effect on chinchillas, and make them more relaxed and peaceful. 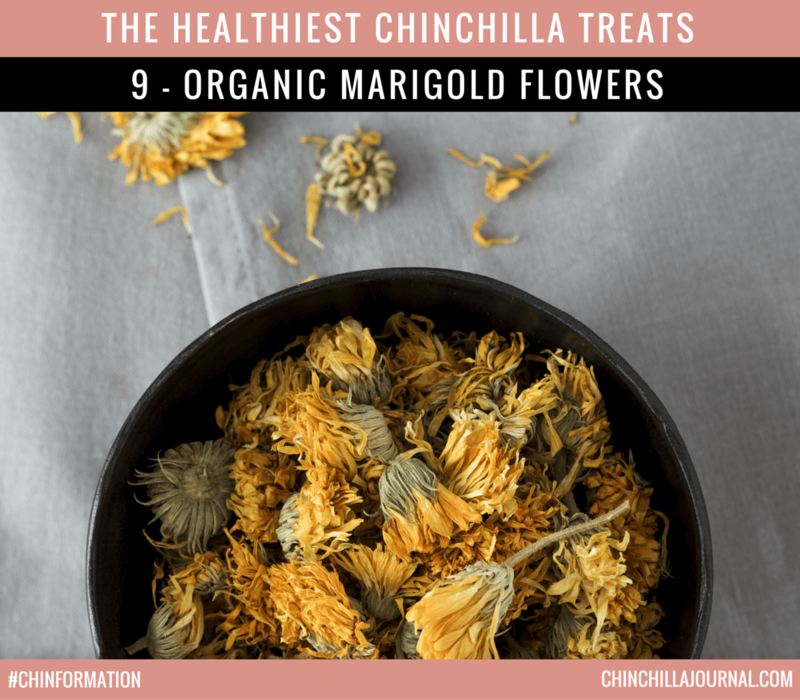 You can give your chinchilla ½ teaspoon of chamomile flowers daily. Chinchillas can have ½ teaspoon of marigold flowers each day. Sunflower petals are packed with healthy minerals. 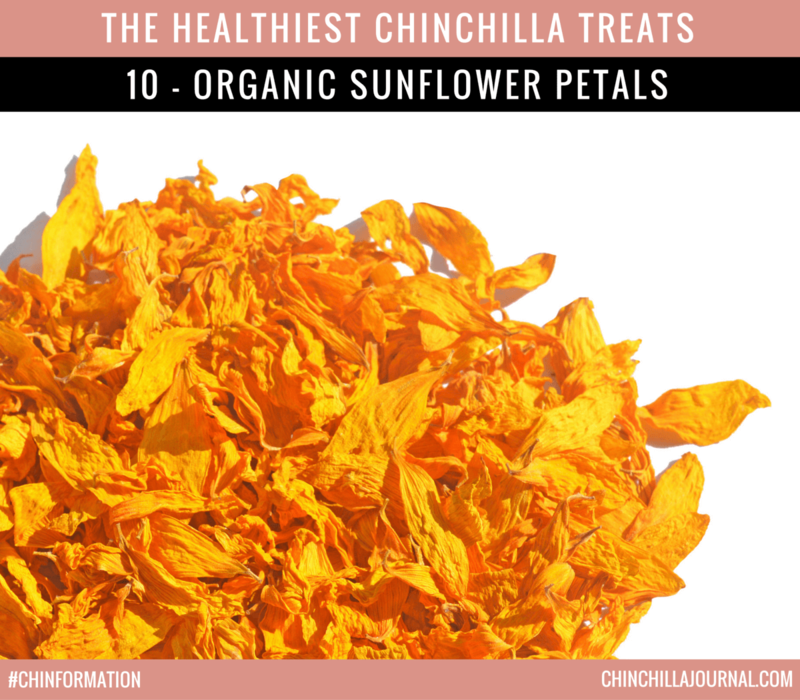 Your chinchilla can eat ½ teaspoon of sunflower petals per day. What's your chinchilla's favorite healthy treat? How many of these healthy treats have you tried? Leave a comment below and let me know. You can give your chinchilla a combination of the treats but you will need to adjust the amounts you give them. So, if you want to give them two treats on the same day, you should give them half the amount of each treat listed in the article. For example, if you want to give them some mountain ash berries and dandelion leaves on the same day, you should give them one and a half mountain ash berries and a 1/4 teaspoon of dandelion leaves. Sorry tom, my words were chopped up for some reason. I hope you can understand what i was trying to share with you! Hi Michelle. Sure I understand. Yes I’ve heard some chinchillas don’t like rosehips. All four of my chinchillas love them. I hope your new chinchillas like some of the treats on the list. I’m happy to help you learn your way around Instagram. Which specific things do you need help with? Is it related to getting your chinchillas featured or something else? How do i “tag” the pictures that i would like to add for Your feature page? I have four Chinchillas too! Hi Michelle. If you have an Instagram account that’s public, you can post the photo you want featured there and include #chinchillajournalfeatures in the caption. If you don’t have a public Instagram account, you can either DM me the pics on Instagram or email them to me. I’ll send you an email to follow up on this, so that you know where to send the pics if you want to use email. I’d avoid wheat grass because it can cause bloat in chinchillas. I’d also avoid anything fresh including dandelion because chinchilla’s digestive systems aren’t really designed to process fresh foods. 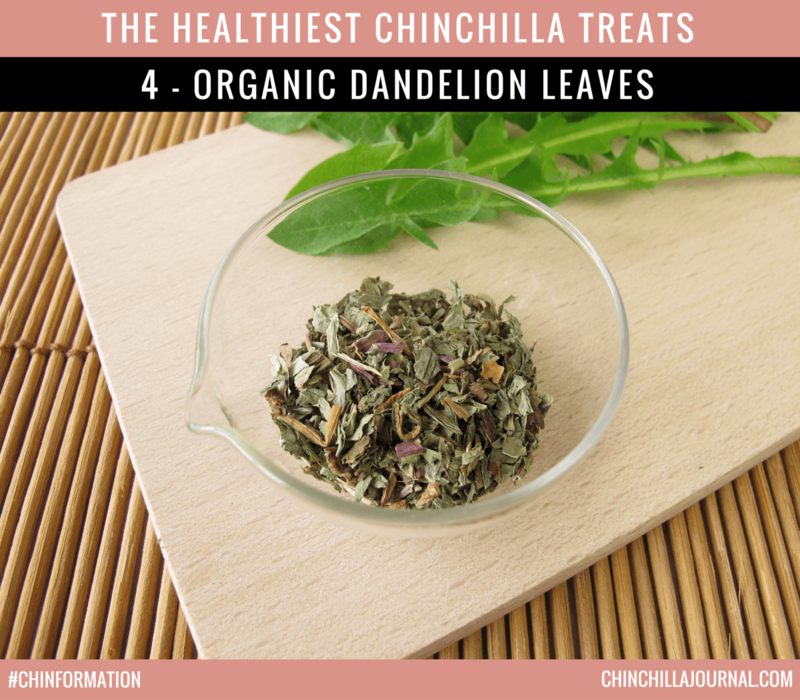 If you want to feed your chinchilla dandelion, go with an organic dried variety. Have you tried orchard grass hay? My chinchillas seem to really like that, so perhaps your chinchilla will enjoy it too. trying to find some have gone through alfalfa hay cheap hay, timothy hay meadow hay onto a herbal hay with nettle in, considering she was kept in a 6ft square cage, no dust, and then ABANDONED with other animals she is a fussy lil begger lol, BUT she likes hibiscus and certain mallow, and some bits in forage and I occasionally give her a pea flake as I know those are safe mountain ash berries are due to try, she don’t like rosehips or flowers lol , we’ll get there I don’t give in with bad treats she gets shoed a flower take or leave, and ones she doesn’t like are safe for my other furries the G pig polished off her sunflower petals. Ok. Hope you find some things she likes. You can get Oxbow Orchard Grass hay on Amazon and it’s pretty good. What do you think of Rosewood naturals natures salad? it’s got orchard grass mixed with a, bunch of these things i think. I’m not familiar with all the ingredients, so I can’t say if it’s 100% chinchilla safe. They list four of the 21 ingredients on their site and these are all safe for chinchillas but I’m not sure about the other 17 that aren’t listed. Aww. Hope you can find something healthy that matches her taste buds. Hi I gIve my chinchilla 2 tReats a day and one viTamin c TabLet a day should i stop giving him 2 treats and insTead give him roSehips??? Hi. It depends what treats you’re currently feeding him but rosehips are a great healthy treat option. I’d stop giving him the vitamin C tablet also. Most chinchillas don’t need any additional supplements. Their diet should provide all the nutrition they need. Hi. I’d stop giving them treats if they’re sick and take them to the vet for a checkup. You can add treats back into their diet slowly when they’re feeling better. Can my chin have dried rose petals? They are organic. Yes. Organic dried rose petals are fine.